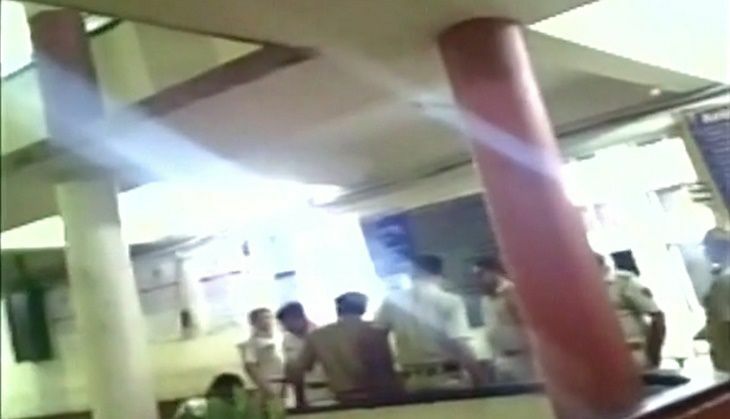 A police officer has been caught on camera allegedly thrashing a couple inside the Kandivali Police Station in Mumbai following which an inquiry has been ordered into the incident. According to Rakesh Shetty, who captured the episode on his mobile phone camera, the incident took place on 11 May when the woman and her husband reached the police station to file a complaint but the sub-inspector Riyaz Mulani (accused of physically assaulting them) refused to lend them an ear. Although the couple has not yet sought any action against the officer, Shetty went ahead and complained about the alleged assault to the Kandivali Police. His video grab shows the police officer hitting the lady with a wooden stick inside the police station premises. Shetty, a real estate professional, happened to be present at the police station at the time of the incident to file a complaint regarding threats he was receiving from the underworld. The complainant said that he also apprised all higher officials in the police department about the incident including the city police chief but no case has been lodged against Mulani yet. Meanwhile, DCP (Operations) Sangramsingh Nishandar said that ACP (Borivali Division) has been entrusted with the job to conduct an inquiry into the alleged incident.